McAllen ISD and the Alliance for a Healthier Generation (AHG) are sponsoring a FREE professional development for physical education teachers in the Rio Grande Valley area. Two half-day sessions will be led by Eric Larson from the AHG. Over (40) participants attended each session. McAllen ISD Curriculm Writing teams met to review and update K-12 Health & Physical Education curriculum documents. Team members include: Sonia Benavides; Jose Diaz; Steve Flores; Jaime Garcia; Melissa Leal; Yvette Lopez; Mike Morales; Laura Moreno; Olga Munguia; Ben Pena; and, Nikki Trevino. A special thanks to Fancy Flores from the Alliance for a Healthier Generation - she is serving as a AHG resource. 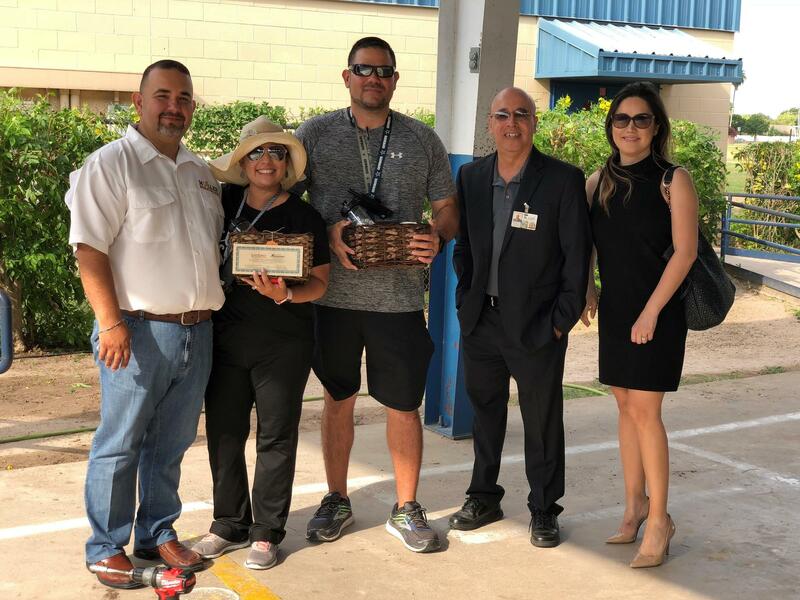 Gonzalez Elementary Physical Education teachers Brenda Ochoa and Jon Saldana were selected as PE Teachers of The Month (May). Congraulations to Brenda and Jon! McAllen ISD School Health Advisory Council (SHAC) was selected as one of the five best in state. 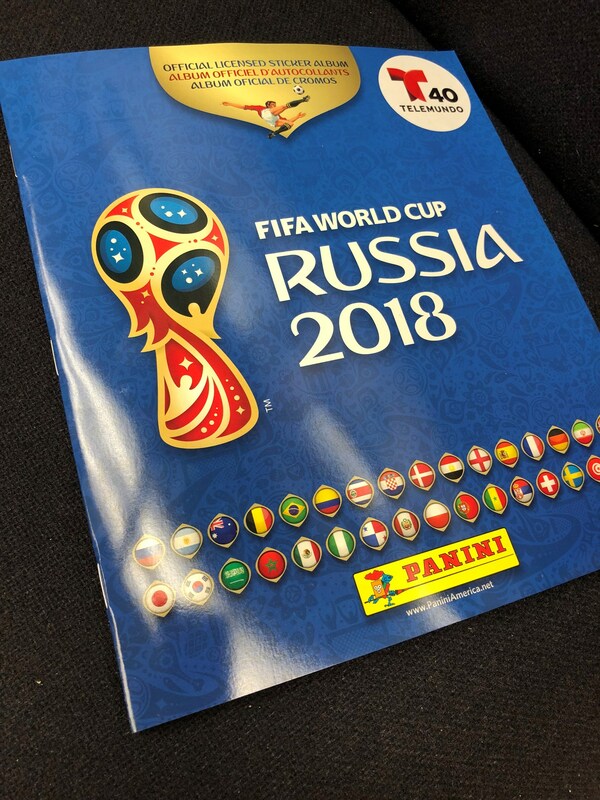 A special thanks to Telemundo 40 who donated the Panini "World Cup Sticker Albums" for our 3rd, 4th and 5th grade students. Album provides informational materials for the upcoming World Cup that begins on June 14th. National Physical Education and Sport Week. 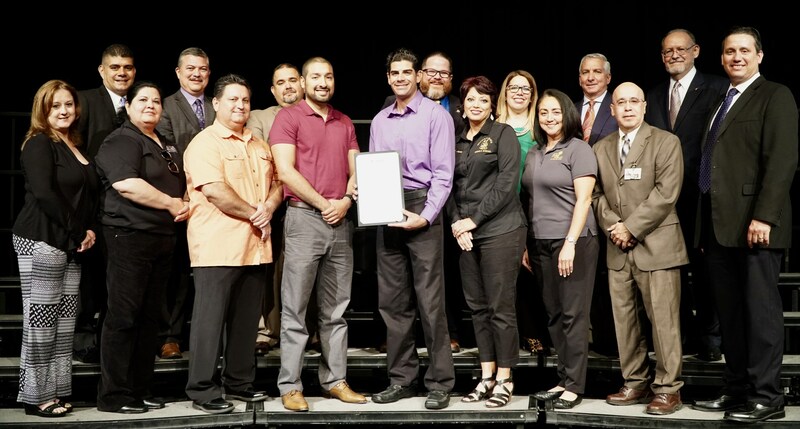 McAllen ISD will celebrate with 50 Million Strong activities in their physical education classes. Held annually, SHAPE America's National Physical Education & Sport Week celebrates and shares the value of effective physical education and sport programs in schools around the nation. 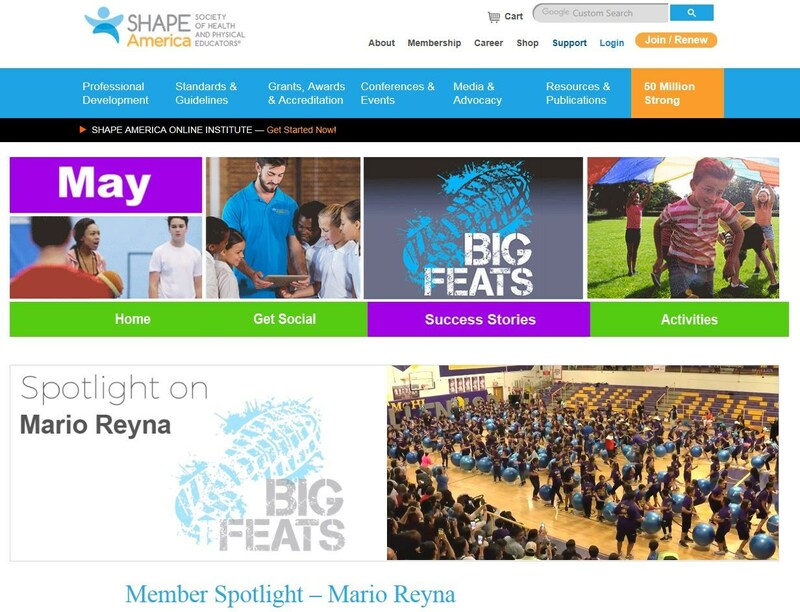 Share your own accomplishments using #BigFeats on social media and help put a spotlight on health and PE in schools. Please use #BigFeats as well as other hashtags on social media to help share far and wide. Let's Move! 50 Million Strong Fun Run - Elementary students from our elementary schools will learn about cross country running. AHA - Jump Rope/Hoops for Heart and Go Red Donations - As of April 20th, McAllen ISD has over $69,000 in donations; Milam Elementary is officially the #1 fundraiser in South Texas!